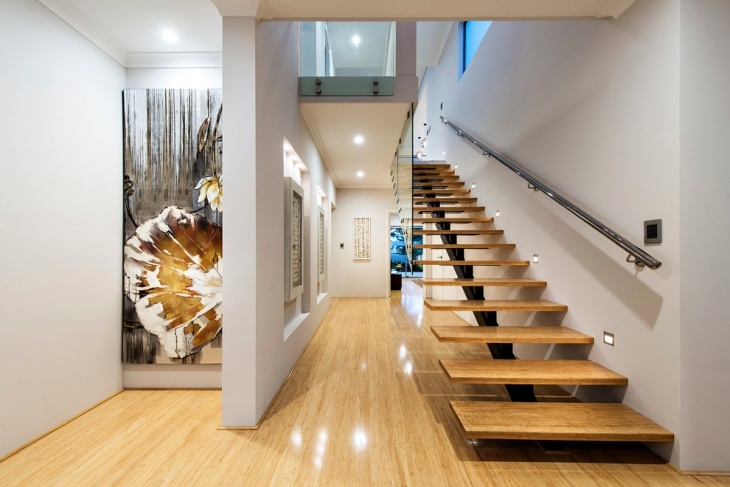 Stairs may be a functional part of your interiors but you cannot deny the way they add style to your personal space. Narrow straight stairs taking you to the next level or spiral stairs like the one you saw in your dream castle in fairy tales, they add a different energy to your interiors. 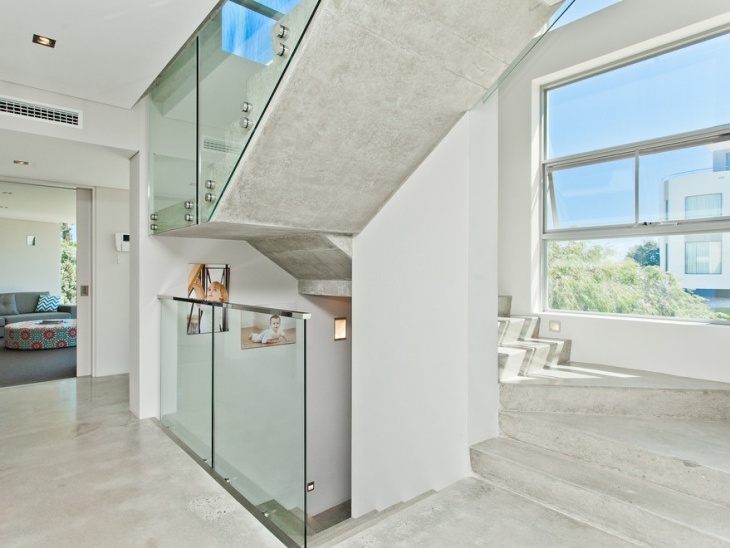 Modern design and innovation gives you freedom to experiment with numerous types of stairs. 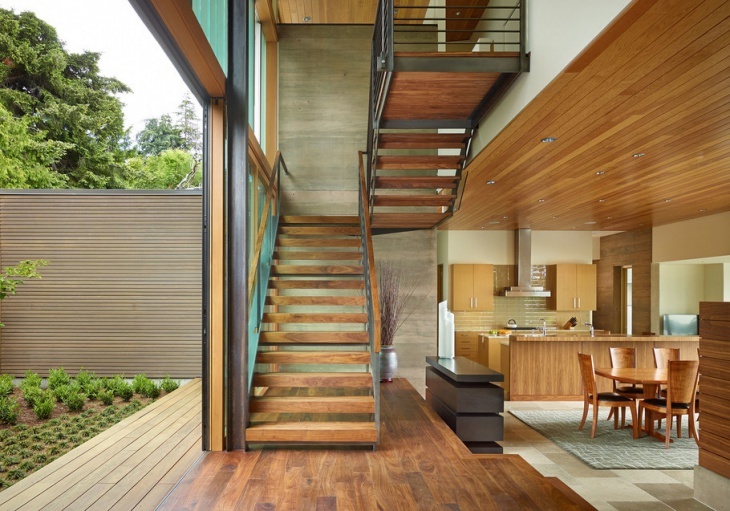 You can find some of these amazing stair designs in this article. 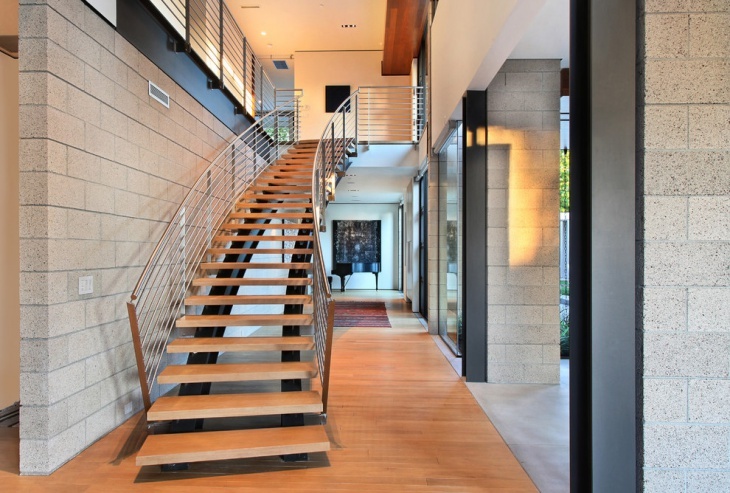 A U-shaped open staircase with wooden steps and glass railing looks sleek and stylish. If you hate fingerprints replace glass with beautiful wrought iron grill. You can opt for a more functional design by converting each step into a drawer with enough storage space. 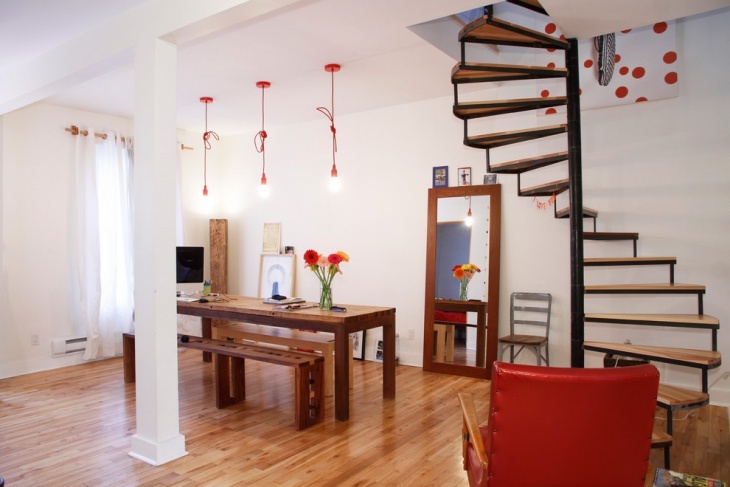 Floating stairs are considered to be the most evolved and minimalistic designs. 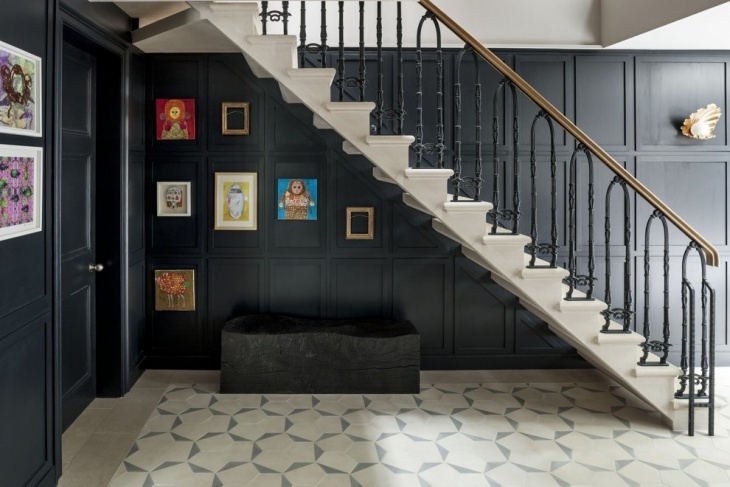 White walls with black floating stairs and a simple hand rail on one side looks sleek. 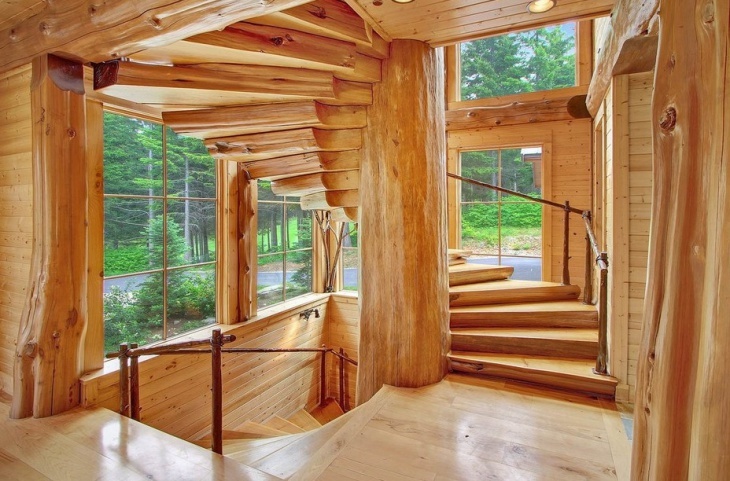 You can choose wooden stairs as well. 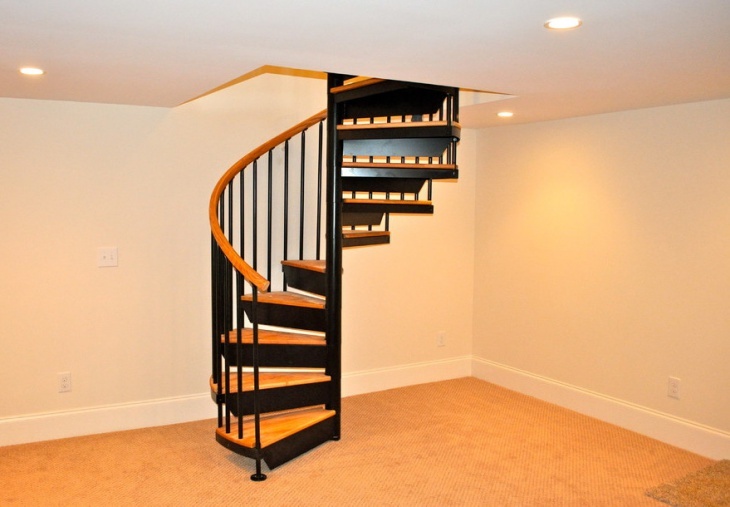 Instead of doors just connect your basement with your hall through open staircase which makes the setup look more open and airy. If you are using U-shape stairs, remodel the supporting basement wall for storage, a wall unit with show pieces or may be a book self. Combine textures to personalise them as per your interiors. 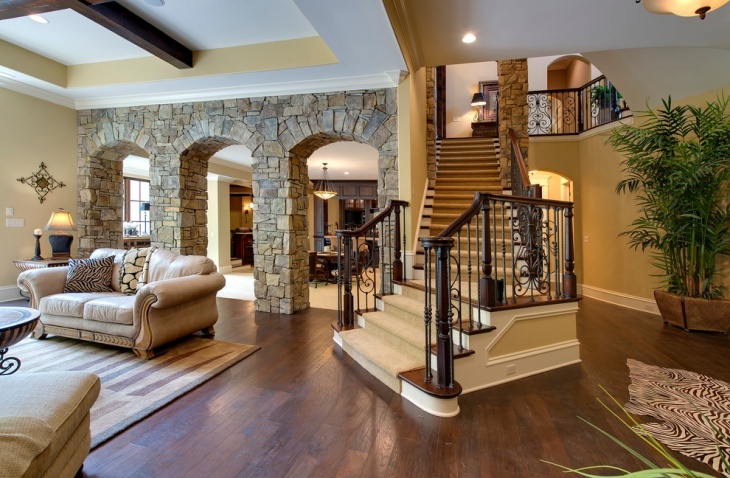 Your carpeted stairs may end up in a characteristic stone steps towards your basement. In most houses stairs are designed as per the requirement but a little innovation makes it the highlight of your interiors. 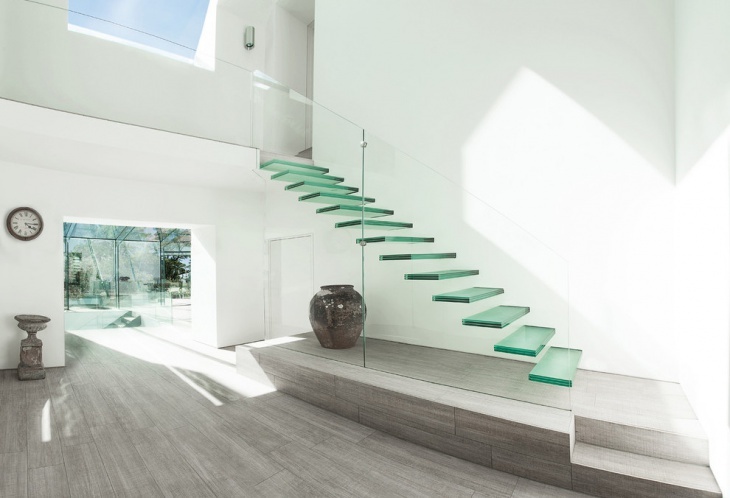 Glass stairs are elegant and add glamour to otherwise traditional space. 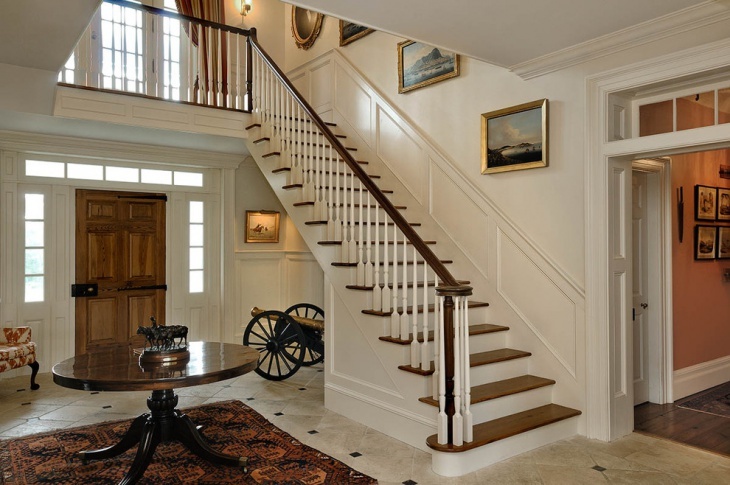 A traditional floating staircase with hard wood steps and white railing look classy. 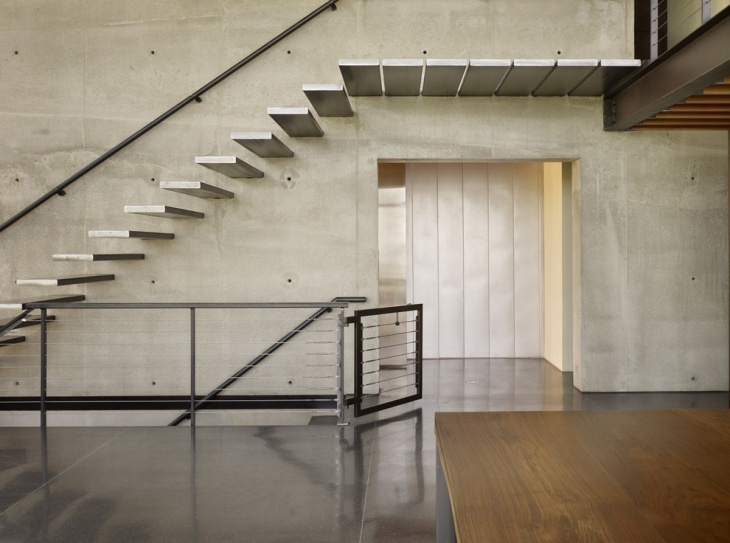 If you wish to give an industrial look to your stairs use concrete stairs. 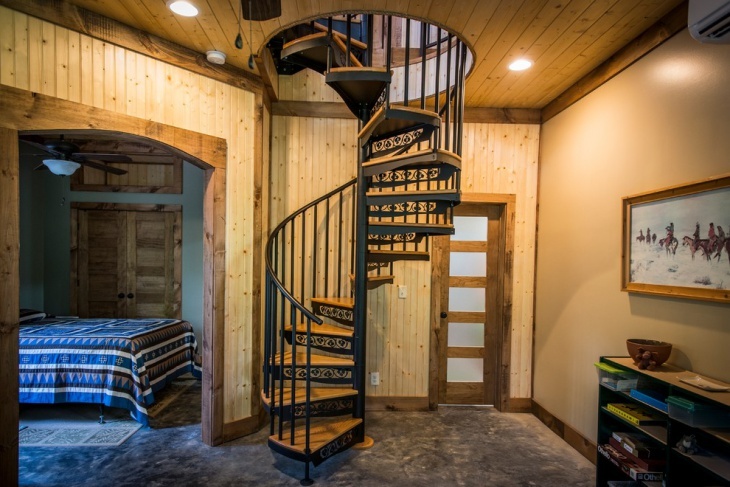 You can also use traditional wooden stairs. Combine them with glass railing to add a personalised twist. 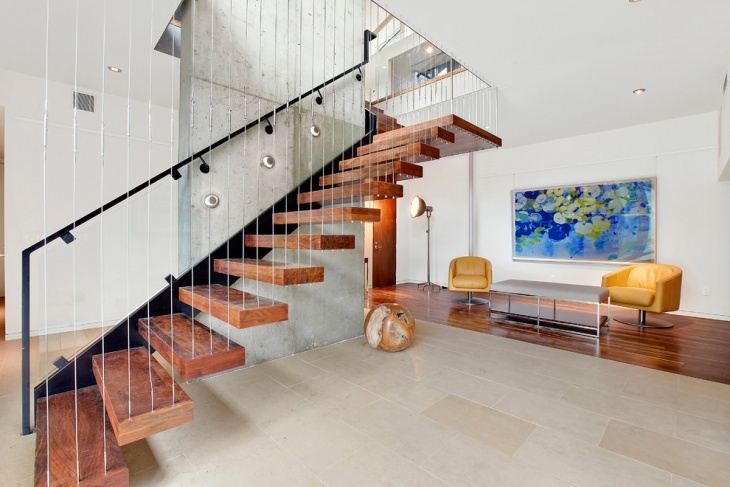 Opt for metallic floating stairs to get the industrial look you were looking for. 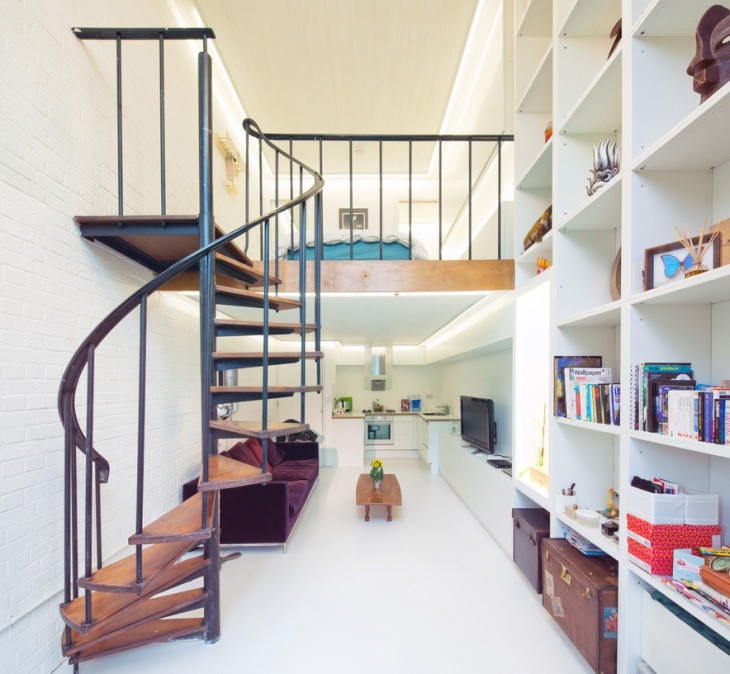 Narrow spiralling stairs are the most intelligent space saving designs. Floating stairs with every step designed as a shelf to be used for storage improves practicality of the design. 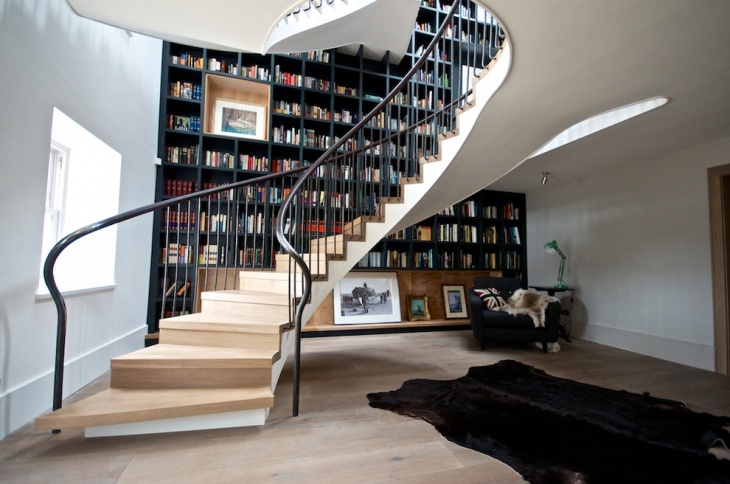 Even if you have a traditional staircase, convert the supporting wall and the space below into a book shelf. 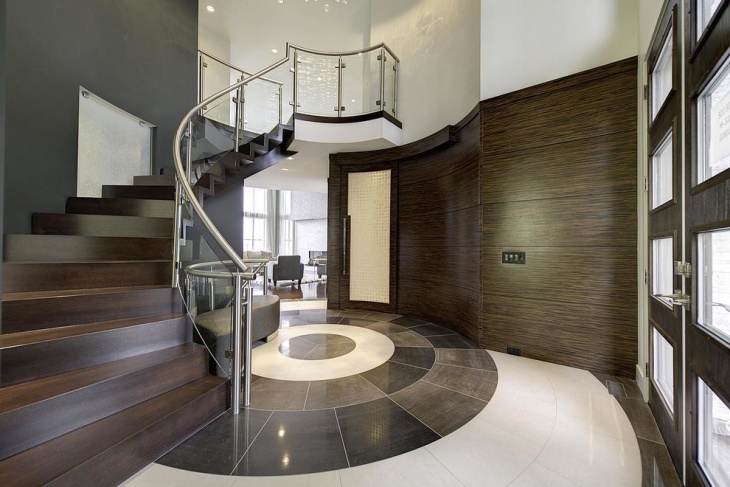 There are numerous attractive stair designs available but which one would suite your interiors? Don’t get confused. Use minecraft to design the stairs of your choice and see if it really suites your interiors or not. 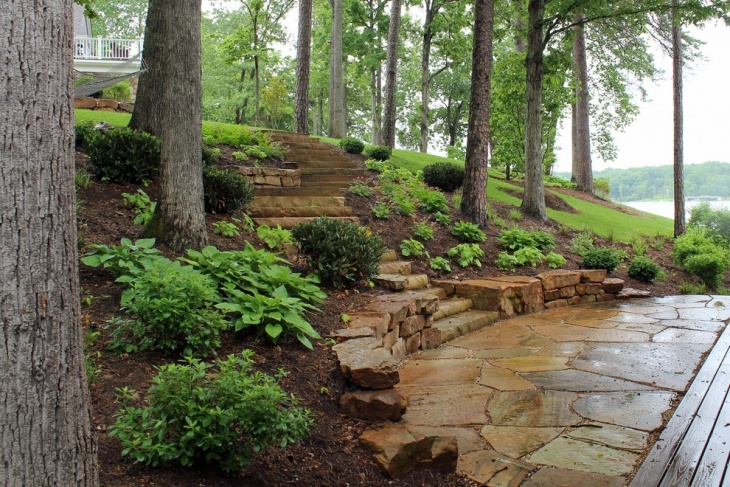 You can enhance the beauty of your garden by using right type of stairs. 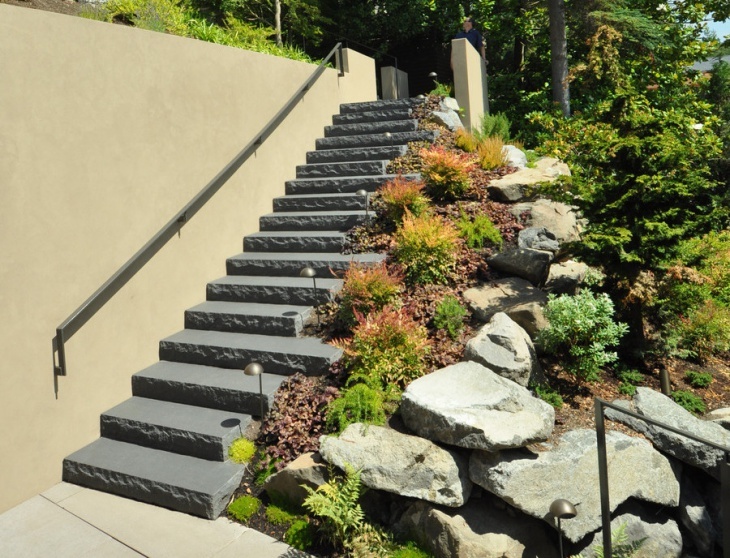 If your garden is sloping, use concrete blocks or stone steps set in the lawn to make step up stairs. Combination of concrete and grass looks beautiful. For rustic look you can use hard wood blanks set within gravel path to make wide stares. 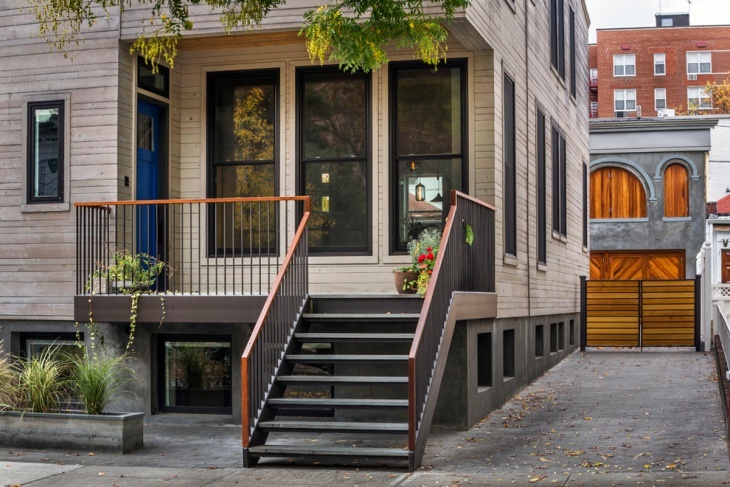 Match your front stairs with the design of your house. 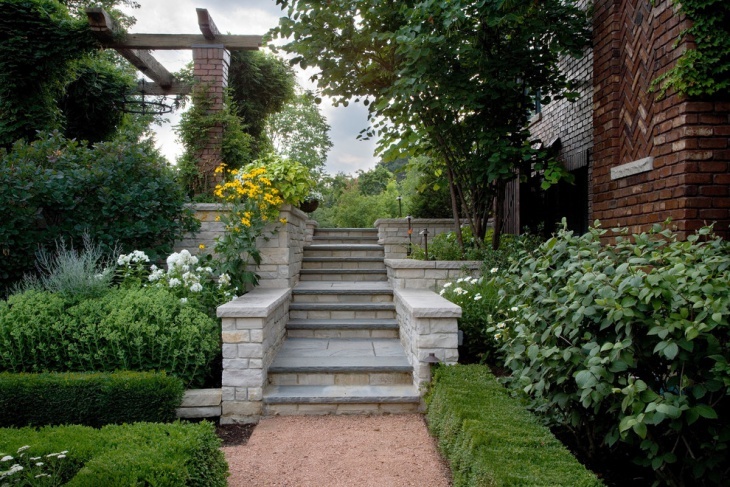 A two-story, wide stone steps flanked by short bushes on either side add style to your entrance. Perfectly symmetrical concrete front steps with clean straight lines or simple brick steps adding rustic touch to your place changes the entire look. 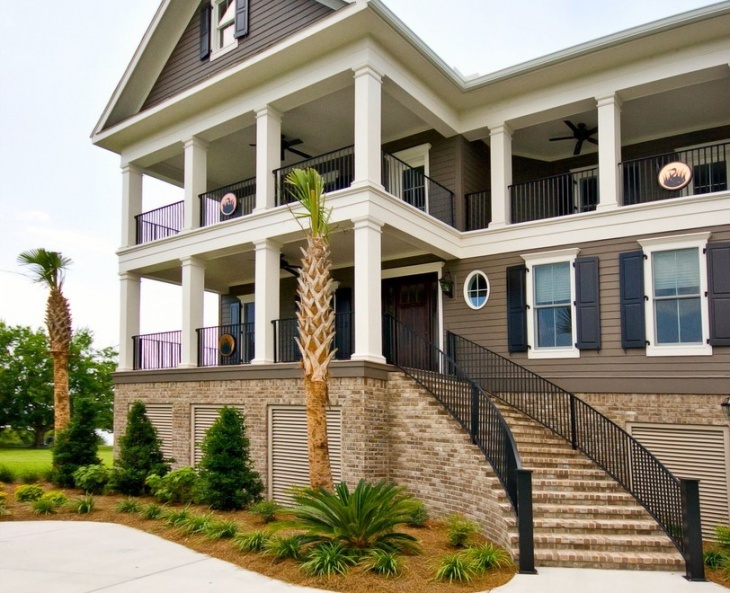 Add style to your porch with slightly curved concrete stairs. 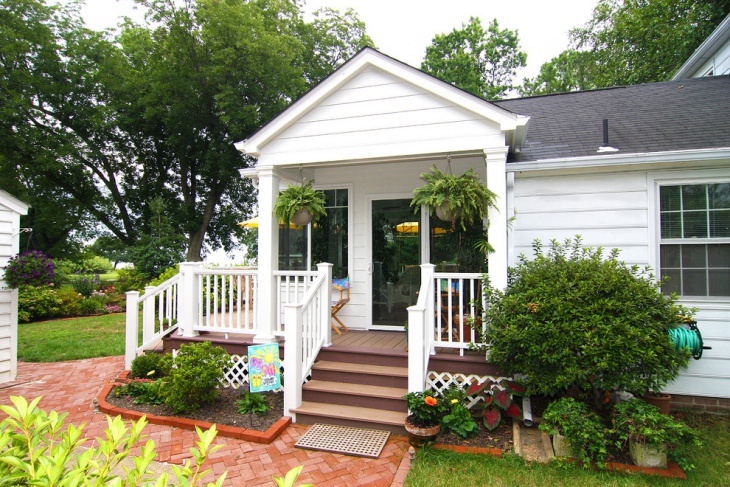 Experiment with your porch steps by including built in planters. Use stained or painted concrete to add colour to your porch stairs. Use colourful tiles on the kick of your stairs to add a different definition. 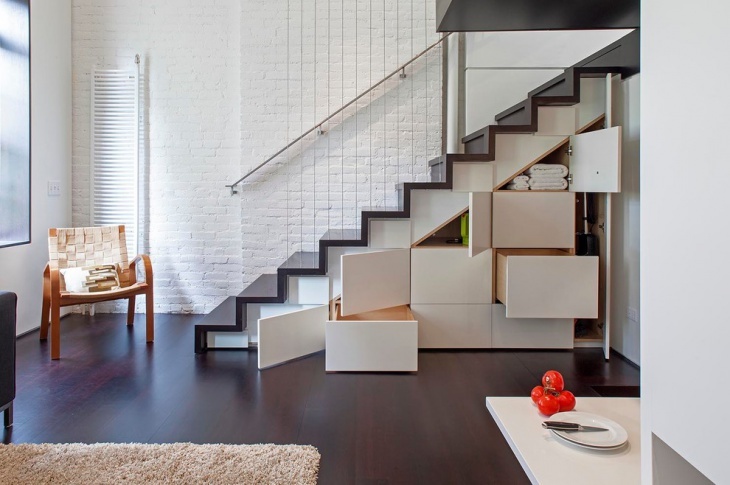 Your loft stairs can give you extra storage space you always wanted. Use wooden steps with underside designed as drawers which can be used for storage. Convert the space below the loft stairs into your library. To save space install narrowly spiralling metallic stairs which adds a rustic look to your space. Use curves in your entrance steps to add some character to your design. Have you given a thought to curved floating stone stairs at your entrance with LED lights? It looks magical. 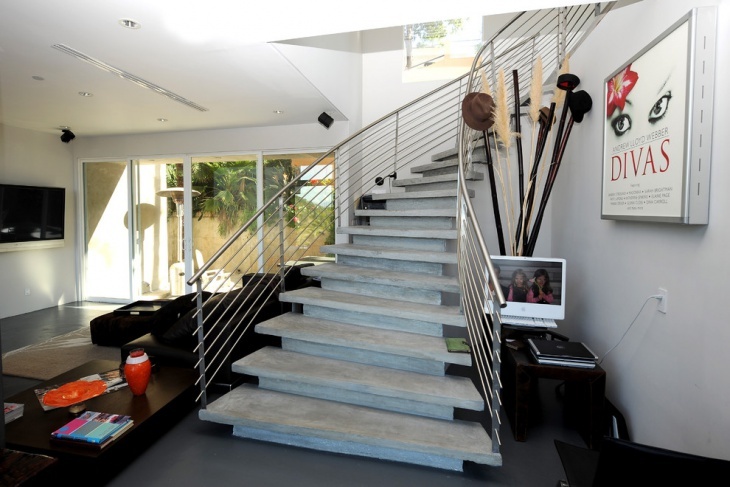 Open stairs are modern minimalistic stair designs which make the space look light and airy. With little tweaks you can personalise them. 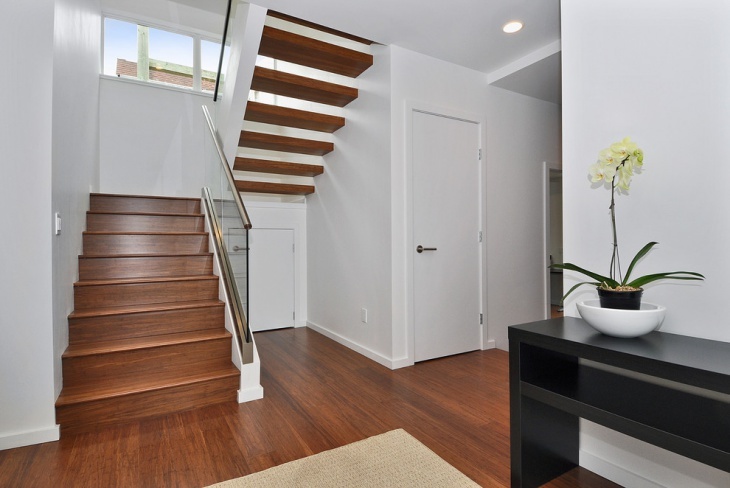 Use an extra thin wooden landing to reduce the footprint of stairs. 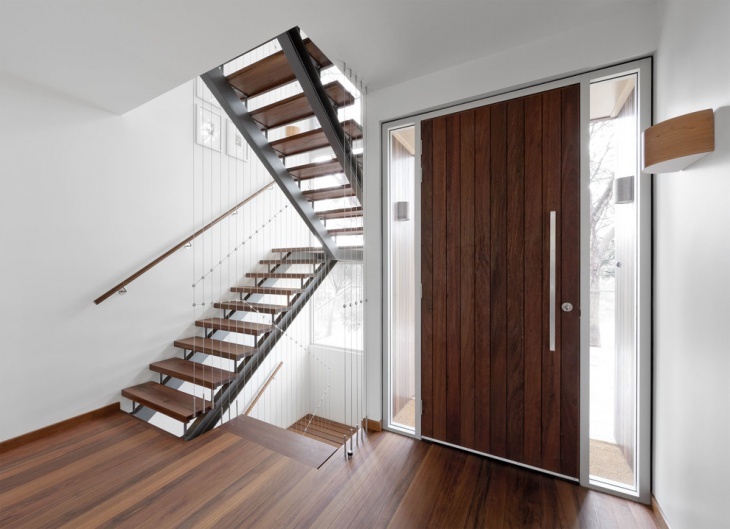 You can also use open stairs made of concrete with elegant wooden landing. 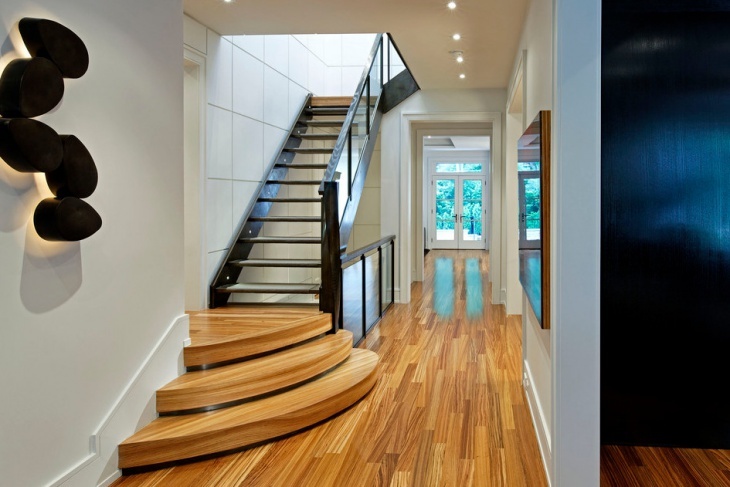 Add luxury to your design by using thick wooden blocks for your open stairs. If extravagance is your style just carpet your stairs and make your interiors look cosy. 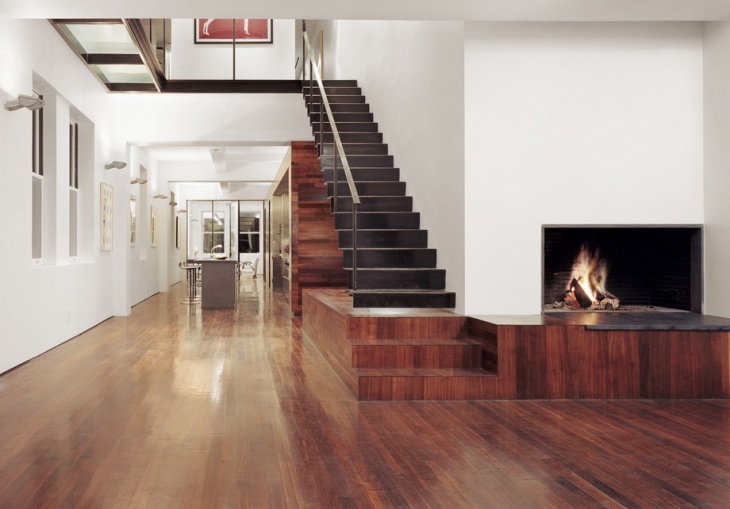 Add elegance by using American black walnut as your stair tread. Consider concrete steps with marble treads for the steps going to your terrace. Spiral designs are so artistic that a little improvisation makes them the centre of attraction. 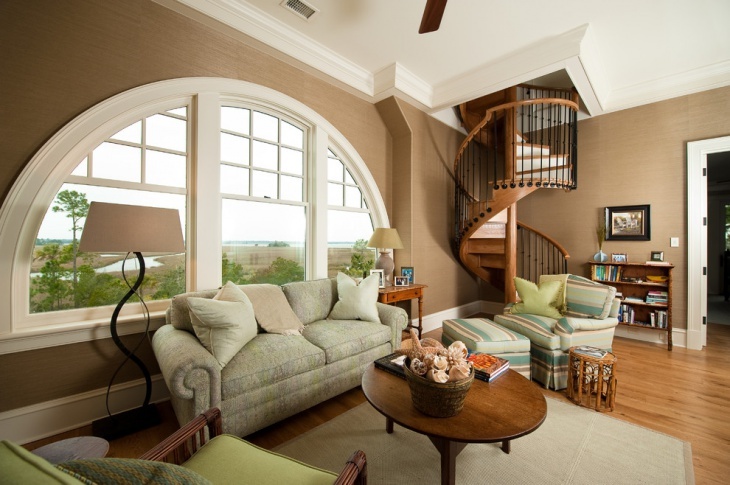 A small corner is also enough to install a spiral staircase in your interiors. 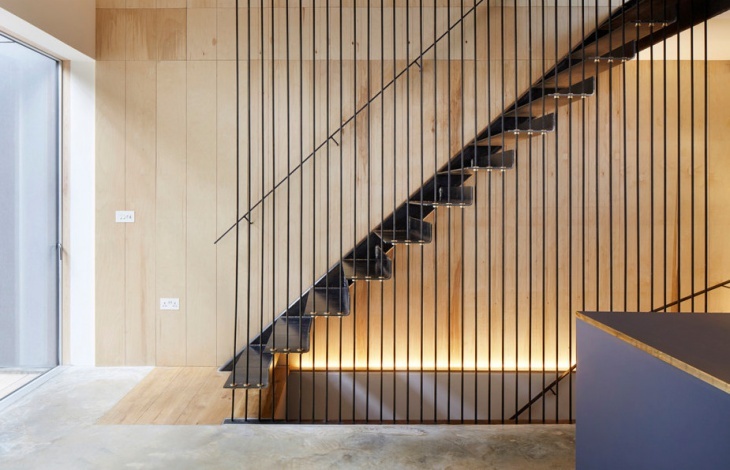 Use metallic stairs with wooden treads. Open spiral stairs with grass railings look magical. 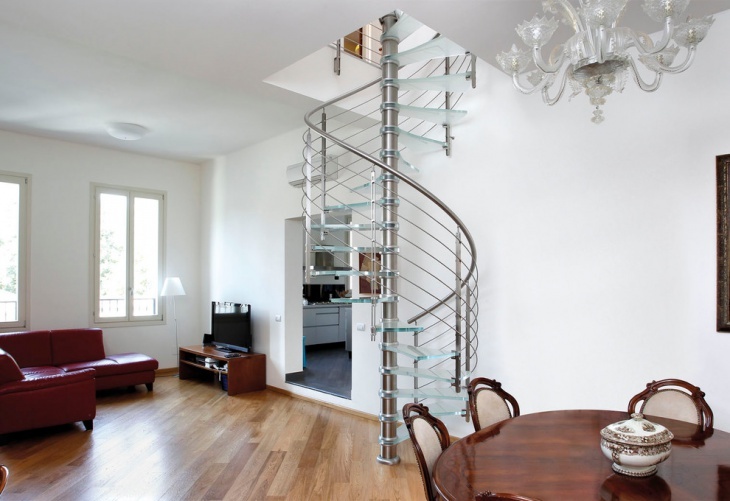 Experiment with your design and install spiral stairs with angles. 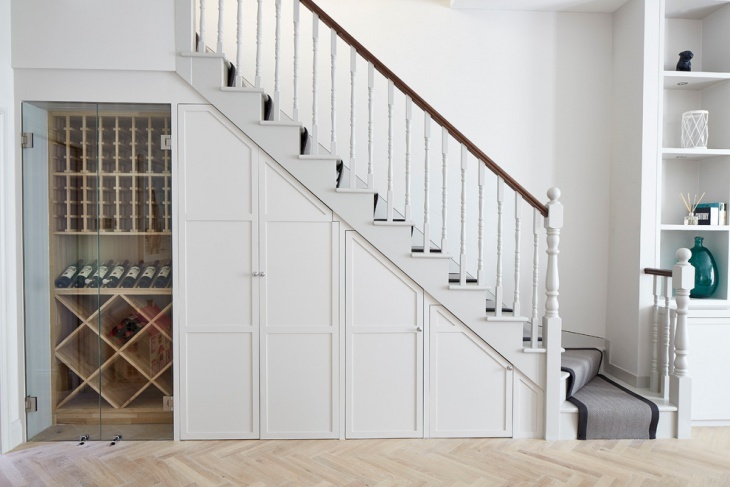 Make your traditional stairs more functional by installing storage cabinets’ underside. Use the wide corners of your stairs to make comfortable seating arrangement. Be creative and change the look of your traditional stairs with modern design ideas. Add colour to your rooftop stairs by using colourful tiles on kicks. 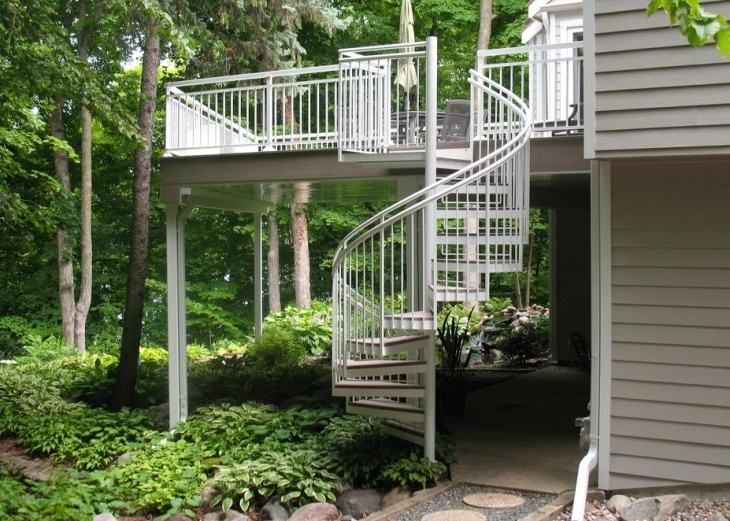 Open metal stairs with strong railing to your rooftop makes a perfect choice for outdoor stairs. 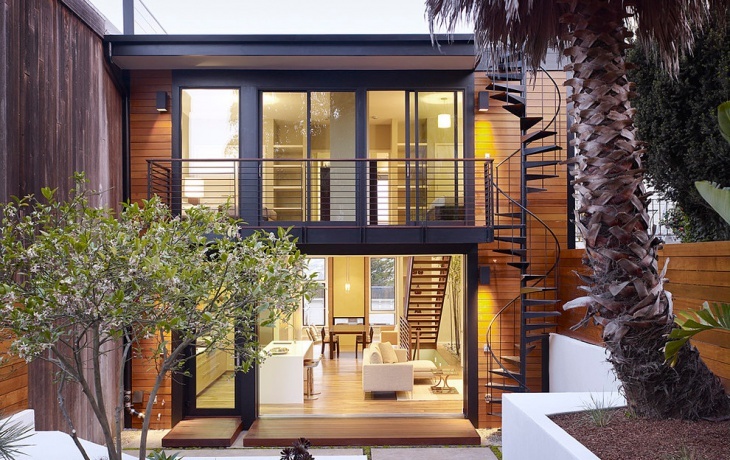 Wooden stairs with glass railing and metal hand support leading to your terrace looks plush and classy. 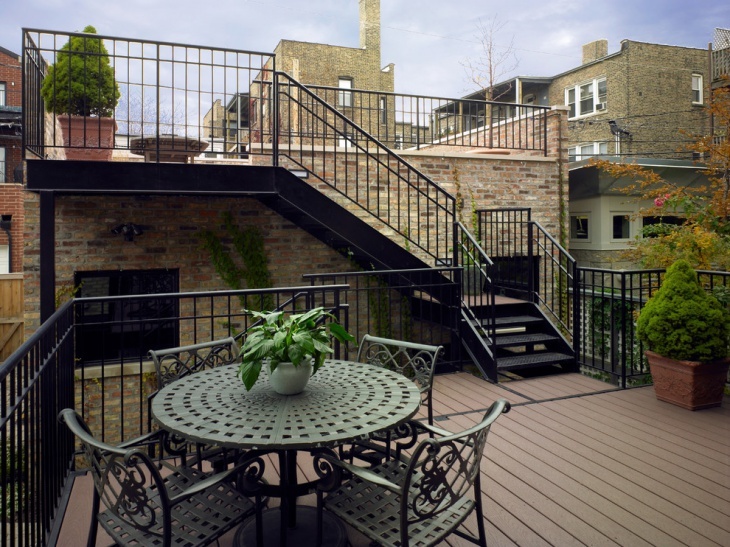 Add artistic touch by installing open spiral stairs to your rooftop. 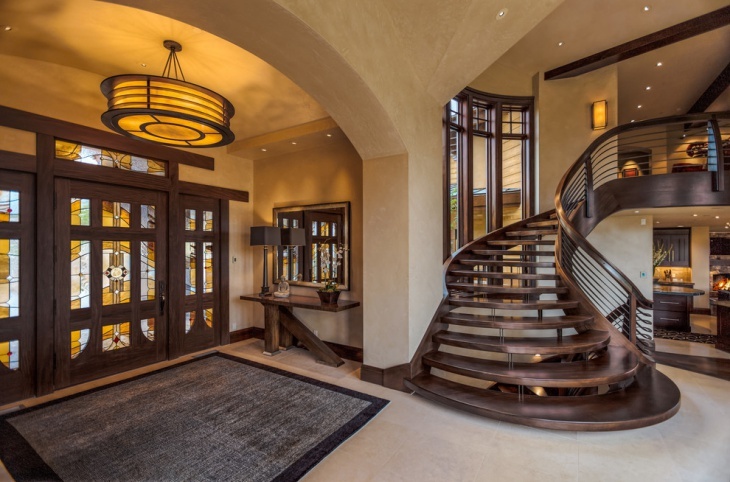 A beautifully designed and placed curved stair attracts attention. Curved lines also create an optical illusion making the space look larger than usual. Use carpet on your curved stairs to add a hint of luxury. Use LED light to illuminate your minimalistic floating spiral stairs. 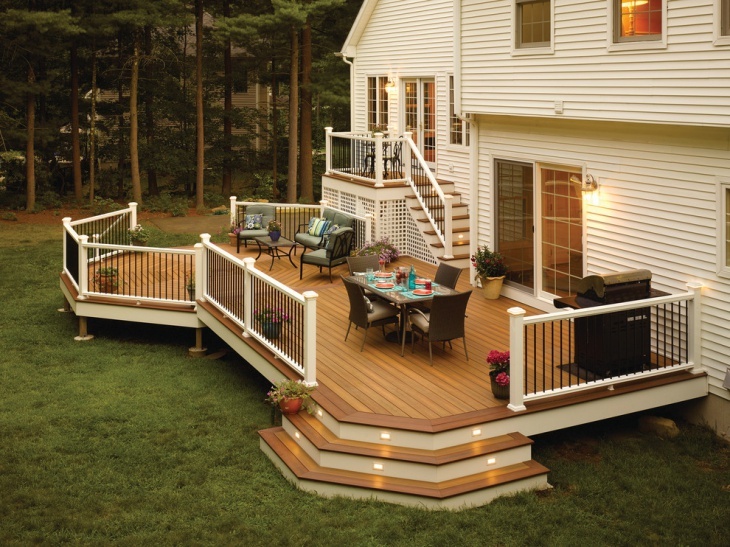 If you have a high deck nothing looks better then straight narrow stairs from ground level to your deck. 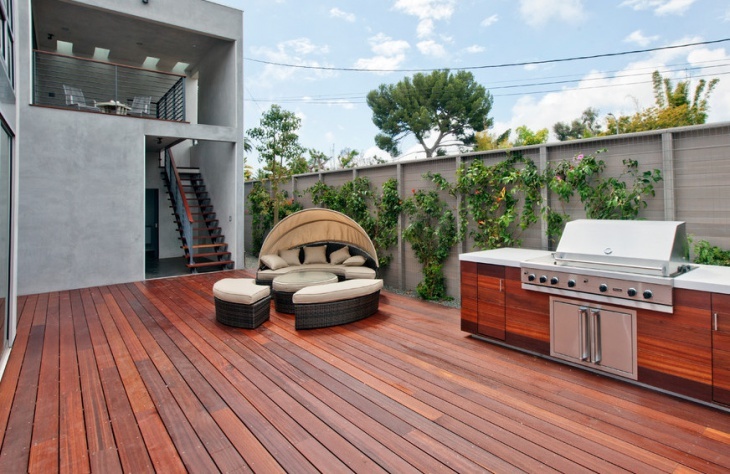 In case the height of your deck is less than three feet you should go for wider steps. You can keep some large planters on either side to add some freshness. Neatly made outdoor stairs with small LED light fittings can change the look of your outdoors completely. 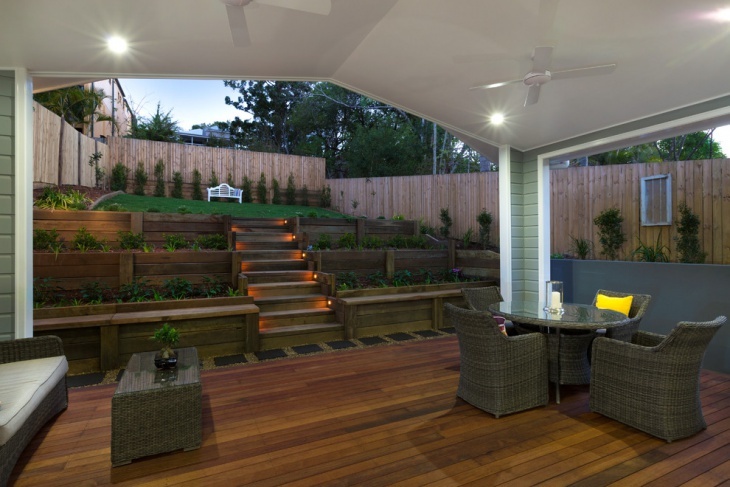 It not only beautifies but also promises safety in outdoor spaces. 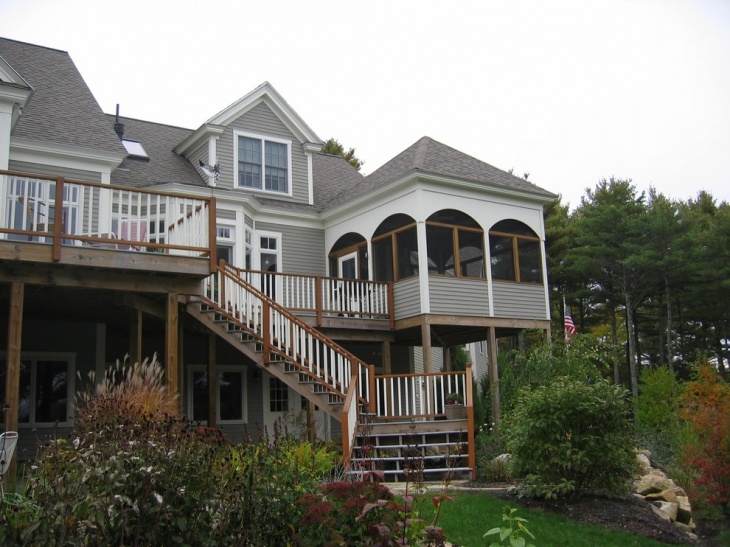 A narrow spiral staircase connecting your porch with your terrace just enhances the beauty of your porch. Stairs are practical requirement of interiors but at the same time they completely transform your interiors into a place right out of your imagination. 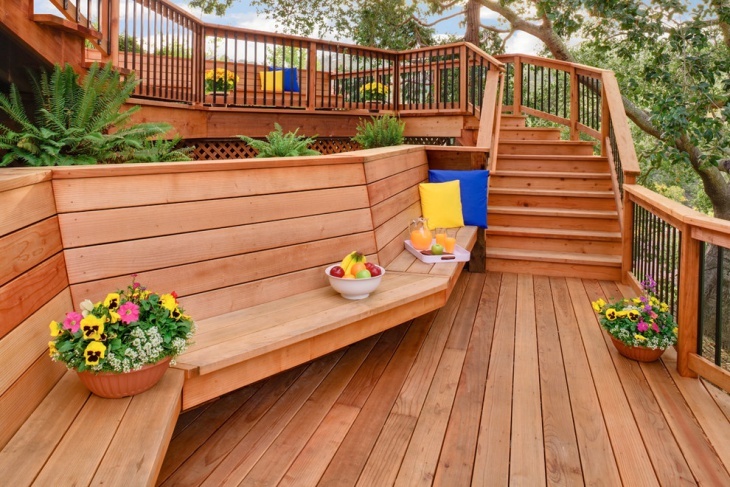 Whether it is your patio, backyard deck or entrance you need to install stairs for the ease of access. You need stairs to connect levels in your house and also to access your terrace. The ever evolving designs have made them even more interesting. Floating stairs, open stairs, stairs with glass railings creating a visual illusion and stairs with ample store space; these designs are not only practical but add oodles of style to your interiors. 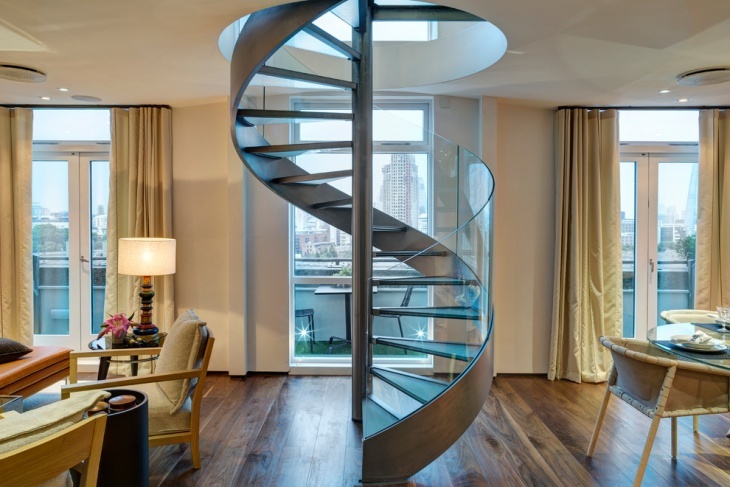 So next time you want to change the look of your interiors without disturbing the current set up much, just plan and add an innovative staircase to it. Get inspired by the innovative stair ideas listed above and add a designer touch to your interiors. 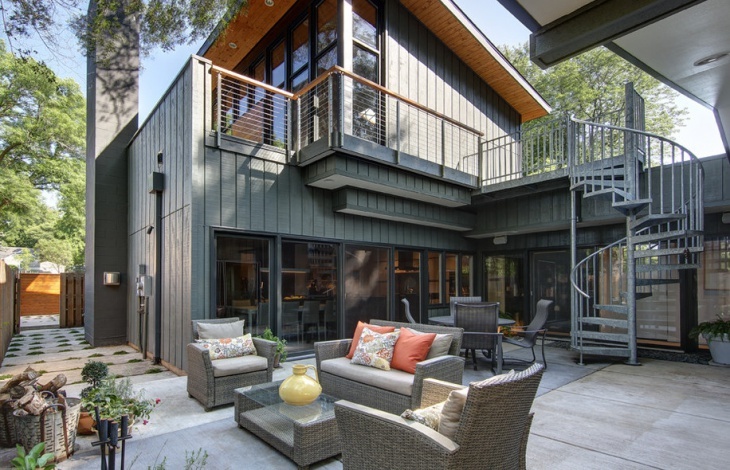 You will be surprised to see the extent to which it transforms the look of your home.